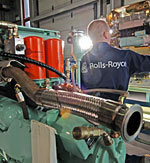 Rolls-Royce is a leading company providing power on land, sea and air. This comprehensive capability includes the provision of small power generation and distribution s ystems through the Distributed Generation Systems business. Power systems are designed to meet customers' needs for harsh, remote environments where access to the electrical grid is not possible and where rugged, high performance equipment is required, such as in the battlefield, at sea, supporting first responders, disaster relief and homeland security. Rolls-Royce has a growing position in this market. The family of Rolls-Royce gas turbine generating sets offers a power plant range for today's distributed generation environment, from 4MW to the Trent delivering up to 58MW, and reciprocating gas engine generating sets from 2.0 to 8.5MW. High-performance military and marine power engineering solutions incorporate a broad selection of power units, transmissions or alternators from a wide range of manufacturers and we can provide independent advice on the combination to best suit the particular application. Rolls-Royce has expert knowledge of systems integration to meet customer objectives, engineering generator sets which incorporate bespoke characteristics such as minimum radar, magnetic, vibration, thermal and acoustic signatures, high shock resistance and unmanned machine space operation. Sophisticated but user-friendly control systems provide health and usage monitoring and data logging, with diagnostic routines, maintenance and repair schedules, and automatic sequencing and synchronisation of generators. Field Electrical Power Source (FEPS) control panel assembly. 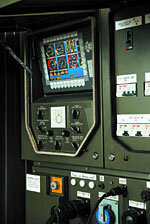 Field Electrical Power Source (FEPS) control panel. The Field Electrical Power Source (FEPS) range of highly mobile, trailer-mounted, diesel-powered generator sets are in service with the British Army, Royal Marines and Royal Air Force with a range of applications from communications system power to energy provision for field hospitals. Designed for worldwide operation in extreme temperatures and environments, the sets are compatible with other NATO and US Army generation and field electrical distribution equipment. Power ratings range from 8 to 80kWe, 1/3 phase at 50/60 Hz. Generator sets incorporate â€˜stealth' type technology for improved counter-surveillance capability with low acoustic, thermal and radar signatures, and are both rugged and reliable. In addition to signal reduction, the enclosure is designed to provide resistance to nuclear, chemical and biological contamination. The generator sets are operable either as a towed or vehicle flat-bed mounted system. Sets have been developed to use the highly reliable Deutz FL912 range of three-, four- or six-cylinder diesel engines, close coupled to a single bearing Newage International alternator. Wherever possible Commercial Off-The-Shelf (COTS) components have been chosen to provide quality, reliability, maintainability and ease of logistic support, with low through-life costs. Power on the battlefield can be a scarce resource, particularly with the increasing demands of new battlefield systems. The Rolls-Royce Power Management & Distribution System (PMDS) is a modular range of power distribution units with enhanced safety features to deliver power from generator set to all battlefield applications, and to parallel generators to create field power plants and increase available power. The NATO standard equipment has been designed to operate in harsh battlefield environments with attention to power quality, operator requirements and protection. The equipment comprises distribution units and interconnecting distribution cables, designed for rapid set-up and break-down. Cable ends are terminated with NATO standard plugs and sockets, coded to identify quickly current carrying capacity and cable length. Power Management & Distribution System (PMDS) is a modular range of power distribution units. The APU 2000 family of power units gives high performance and low whole-life cost. PMDS modules contain enhanced safety features for maximum protection to personnel, allowing 3 phase and single phase power to be distributed safely with independent overload and short circuit protection at each unit. All modules have the facility for the operator to test the correct operation. As part of the Rolls-Royce total solution provision for power applications the company's capability includes the design, development manufacture and support of military auxiliary power units. 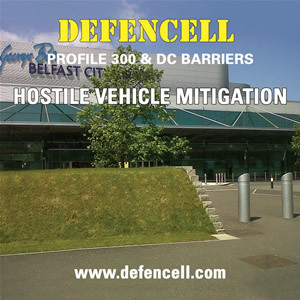 Our experience with a wide variety of equipment gives in-depth understanding of military systems and commercial requirements, ensuring that customers are provided with auxiliary power to meet their specific requirements, developed using commercial off-the-shelf items where possible to provide a cost-effective through-life solution. The APU 2000 family of power units gives high performance and low whole-life cost through reliability, and ease of service and maintenance. Rolls-Royce Distributed Generation Systems is currently contracted to supply BAE Systems with APU 2000 for system integration into their engineering tank system, supplying the vehicle with its extensive electrical and hydraulic power requirements. The Rolls-Royce range of small power systems includes main, emergency and auxiliary marine diesel generator set configurations with power outputs up to 1MW. 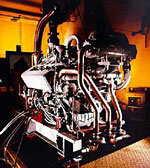 Marine diesel generator set configurations feature power outputs up to 1MW. With an emphasis on high reliability, ease of maintenance and low through-life costs, engines, alternators, mountings and control systems can all be developed and selected to meet customers' precise requirements. Our equipment is extensively in use in demanding naval applications where a high performance system and engineering know-how are particularly important. Features include low magnetic signatures, low noise and vibration. High shock mount systems and close-coupled engines and alternators combine to reduce frame and mounting stress. 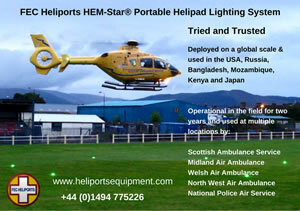 Advanced control systems provide ease of operation, accurate monitoring, and unmanned machinery space operation.